1) It is beside an old road which, today, is called Tatmore Hills Lane. This lane is a section of a road that leads north from St Pauls Walden and Stagenhoe to Hitchin. It immediately follows the stretch known as Dead Woman’s Lane. It is at the junction of another old lane which follows trhe boundaries of Hitchin and Ippollitts parishes. 2) Even today, there are two ponds in the vicinity. 3) The place-name in 1822 was Wayley Green. Where there were Greens, often there were homes. 4) The entry in Domesday for Welei states that there was, ‘woodland for 300 pigs’. Wayley Green today is 300 metres from Wain Wood. 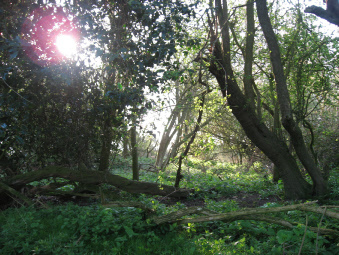 This wood may have been even nearer to Wayley Green in 1086. Why did the vill/ manor of Welei disappear? Almost a thousand years ago, Welei was small community of around sixty souls near Preston. It was tucked away just to the north of Sootfield Green and only a mile from Preston. 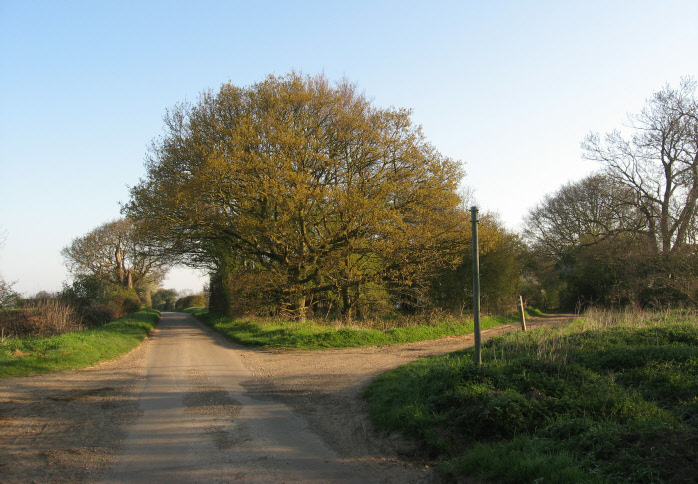 Welei was based on an ancient road known later as Wayley Green Road and, today, as Tatmore Hills Lane. Here were about nineteen dwellings clustered around a Green beside the forest which was Wain Wood. Local ponds provided a source of water. The inhabitants worked 240 acres of arable land and woodland in which their pigs roamed. Welei was self-governing, being a manor in its own right. Intriguingly, perhaps its villagers were involved in some form of heathen worship. The middle of the fourteenth century came and Welei was in a desperate plight. Successive years saw raw winters and wet, cold summers. Harvests failed and families were on their knees. From the east, in 1348/9, came a new peril – plague! People sickened and quickly died. The few survivors at Welei buried the bodies of their family and friends in Wayley Close, a local field. Then, having nothing to keep them at home, they wandered off to make new beginnings in Hitchin and other villages. Over centuries, their homes collapsed and Nature flexed her muscles to inexorably reclaim her land. Today, nothing visible remains of Welei. The ancient road is now a track. Two ponds stagnate nearby. 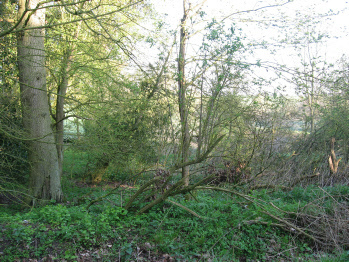 The Green is a tangle of trees and undergrowth. But, lurking just beneath the surface of the flora and fauna are foundations of houses, abandoned artefacts and skeletons in unmarked graves. Thus, a small community died with hardly a ripple and was lost forever. In the twenty-first century, few local people, if any, are aware that Welei and its people had ever existed. This account may or may not be true. Welei did exist as described. The plague did visit this area. However, was it the cause of the desertion of Welei? This is the story of my research into more enthralling local history around Preston. It may be fanciful; it may be true - time will tell - but I have enjoyed researching and writing it! I, certainly, was unaware of the existence of Welei until a few weeks ago. So where was Welei? I decided to follow up the possibility that it was the place that later became Wayley Green. My reasons for doing so, were that Wayley Green was in Ippollitts parish (where other historians had placed Welei) and that it was close to Wain Wood (with which other scholars had associated Welei). I had planned a visit to Hertfordshire and my first project there, at 07.30 on 22 April 2010 (a beautiful frosty morning) was to walk from Preston to Wayley Green. On the Charlton road, I came to a junction at the northerly end of Dead Woman’s Lane and what my map showed as Tatmore Hills Lane. I was pleased to find that the latter was not only a wide track but also a public footpath which was not indicated on my map. I took several photographs of the area. This is how I stumbled across a lost community: I have recently been investigating the history of Preston from the Domesday survey of 1086 with a view to writing a definitive article for this web-site. Immediately, I hit historical uncertainty and conjecture. When Domesday was complied, there were fifteen manors or administrative districts around Hitchin. They included the manors of Dinsley, Weston, Minsden, Charlton and so on. The size of these manors varied – Hitchin manor was approximately 840 acres while the manor of Ley Green (near Kings Walden) occupied only 15 acres. It is almost certain that Preston existed at the time of Domesday because its name comes from an Old English word, ‘prestune’. This implies that the village predated the Norman Conquest and Domesday. The dilemma is: in which of the fifteen manors did Preston lie? It was when investigating this that my attention was drawn to the manor of Welei which some scholars suggest included Preston. Studying the works of seven twentieth-century historians who have attempted to identify where Welei was located, I found there was little agreement among them. The next day, I went to Herfordshire Archives and Local Studies. Among other planned activities, I wanted to read books and magazine articles about deserted medieval villages in the county. I found one reference only to Wayley Green but this was encouraging as the writer also related it to Welei in 1086 and gave an OS map reference. When I returned home, I needed to do further research: what did the Temple Dinsley manorial records actually record about Wayley? 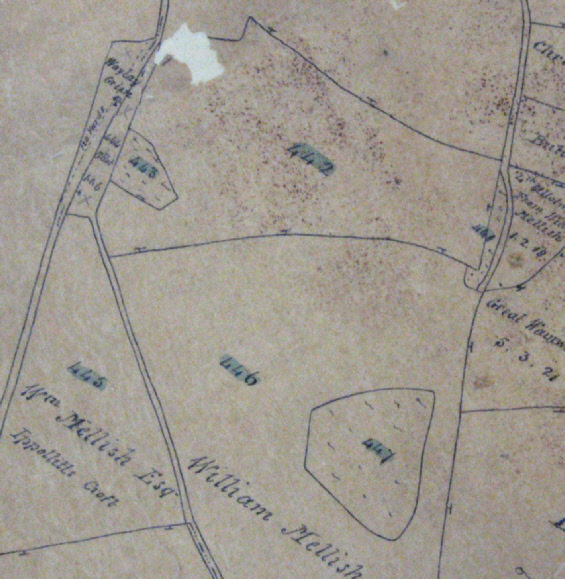 Where were Wayley Green and its associated fields in the parish of Ippollitts? What might have contributed to their becoming deserted? The Temple Dinsley manorial records mention the fields of Waley Wick and Waley Close. These were later amalgamated with another field called ‘Woodclose’. I found both Woodclose and Wayley Green in a document dated 1820 and they referred me to a map which provided the precise location of the green and field. Fortunately, I had taken photographs of this spot which are shown below. I then found the reference that Nina Freebody had made to Wayley Close and everything clicked into place. She had written that there was a legend that Dead Woman’s Lane (which is well known to villagers because of on-going concerns about gypsy habitation) was so called because plague victim were buried in nearby Wayley Close. This reminded me of a documentary produced by the BBC: Christina – a Medieval Woman. It focussed on Codicot (which is about seven miles from Preston) and the effects of bad weather and plague that affected the village in 1348/9. I linked this information with a comment made by a scholar who researched Hertfordshire place-names. He listed several references to Welei (in many forms) but they petered out in the early fourteenth century, coming to an abrupt end in 1342. Welei was not mentioned again. Here was circumstantial evidence of what had happened to Welei/Wayley – it had possibly been decimated by plague around 1347/8 - something that was confirmed by local hearsay. Finally, when thinking of place-names, the meaning of Welei may be of interest, particularly to those captivated by Minsden Chapel. Both it and Wain Wood are ‘probably’ derived from the Old English words ‘weoh’ (which is a sacred place, temple etc) and ‘leah’. They therefore ‘probably’ mean ‘grove where 9heathen) worship was carried on. Evidently the height above sea level of Wain Wood is typical of such site. One historian even went as far as to suggest that pagans held their rites in Bunyan’s Dell. On the other hand, modern research inclines to the belief that ‘way’ means ‘track’ such as Wayley Green road and ‘wain’ is wagon – the hay-wain, for example. Historically, is anything certain? So, summarising all this information, what may be tentatively concluded? 3) Points (1) and (2) are not generally known. 4) Perhaps this community became deserted as the result of plague. The next day, I went to Herfordshire Archives and Local Studies (HALS). Along with other planned activities, I wanted to read books and magazine articles about deserted medieval villages in the county. I found one reference only to Wayley Green - but this was encouraging as the writer also related it to Welei in 1086 and gave an OS map reference. When I returned home, I needed to do further research: what did the Temple Dinsley manorial records actually say about Wayley? Where eactly were Wayley Green and its associated fields in the parish of Ippollitts? What might have contributed to their becoming deserted? The Temple Dinsley manorial records mention the fields of Waley Wick and Waley Close (sic). These were later amalgamated with another field called ‘Woodclose’. I found both Woodclose and Wayley Green in a document dated 1820 and they referred me to a map which provided the precise location of the green and field. I then found the reference that Nina Freebody had made to Wayley Close and everything clicked into place. She had written that there was a local legend that Dead Woman’s Lane was so called because plague victims were buried in nearby Wayley Close. I linked this information with a comment made by a scholar who researched Hertfordshire place-names. He listed several references to Welei (in many forms) but they petered out in the early fourteenth century, coming to an abrupt end in 1342. Welei was not mentioned again. (Link: Grover) Here was circumstantial evidence of what had befallen to Welei/Wayley – it had possibly been decimated by plague around 1348/9 - something that was confirmed by local hearsay. 1) Welei is mentioned immediately after Hitchin in Domesday. Hitchin and Preston are close, geographically. 2) In 1147, a document stated that the Templars were given, ‘Wedelee by name, which is a member of Hitchin’. Huyshe argued, on the basis of this, that Welei, Wedelee and Preston are one and the same place (2). Reginald Hine agreed that Welei was Preston (4). Re: 1) Other districts such as Ippollitts and Wellhead (which are also not mentioned in Domesday) are nearer to Hitchin than Preston. Against this, Clutterbuck (5) states that Ippollitts was originally part of the manor of Dinsley, and Dinsley was included in Domesday, before Ippollitts became an independent manor (Maidencroft) by 1374. Re: 2) Wedelee, this ‘member of Hitchin (manor)’, was not mentioned sixty years earlier in Domesday. Was this because it was noted as being within another manor? However, Glover claims that Wedelee is Welei because, ‘the medial “d” in Wedelee is a common Anglo-Norman eccentricity’ (6). There is an obvious objection to the theory that Welei is Wedelee: in Domesday, the manor of Welei consisted of two hides (approx. 240 acres); the area of Wedelee at fifteen librates (approx. 796 acres) was more than three times greater. Victorian County History adds to the uncertainty by stating, ‘Welei is possibly (my italics) Wedelee in Preston, but both this and Welei cannot be identified with certainty’. It also states that Wedelee was ‘a name used elsewhere for Dinsley’ (7). In Domesday Book – Hertfordshire, Welei is translated as Wain (8). Further doubt about the location of Welei and Wedelee is cast by Evelyn Lord who suggests that both could be represented by the modern place name of Wellhead (which is close to Hitchin) (10). Why are we so fascinated with discovering lost cities and civilisations? The Mayan and Inca civilisations have been explored and their cities and temples excavated and plundered. Atlantis is still being sought and numerous conflicting theories have been advanced about its location. Perhaps we are intrigued that one minute there was a thriving community, the next minute, nothing, silence. They illustrate the transitory nature of human life – here today, gone tomorrow. We ‘are a mist appearing for a little while and then disappearing’. We do not have to travel the world to seek lost settlements. Hertfordshire has dozens of deserted villages. Two are already known around Preston – at Stagenhoe and the hill-top community at Minsden of which only the ruined chapel remains. I believe that I may have accidentally discovered a third deserted village only a mile from Preston. It comes with its own air of mystery and paganism, being possibly linked with heathen worship. One suggestion put forward was that the manor of Welei was Preston. I rejected this but not lightly - the idea was the brain child of historians, Reginald Hine and Wentworth Huyshe. I have long admired and respected their work. However, later historians have not associated Welei with Preston. My reason for disagreeing is that Welei (which was said to be one and the same place as Wedelee and Preston) was recorded as being the equivalent of 240 acres in the Domesday Book. But Wedelee/Preston was noted as having an area of 796 acres. Clearly (to me), they were different places. Then, by chance, while I was examining a map of Hertfordshire dated 1822 (shown right), I spotted the place-name Waylay Green. One of the first rules family and local history teaches is to be aware of alternative spellings of names – Welei and Waylay do sound similar when spoken – try saying them! I also had an advantage having made a specific study of Preston over seven years. I also remembered seeing ‘Wayley’ in documents from the manor of Temple Dinsley and Nina Freebody also mentioned ‘Wayley’ in her writings (Link: N Freebody). It was time to delve a little deeper. 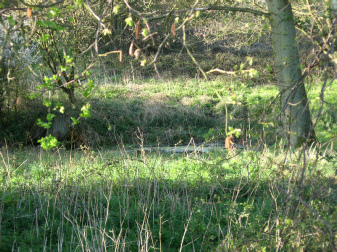 (Above) In the foreground is the field: Woodclose. On the left, in the mid-distance is Wayley Green. A few days after writing the above, the dust is beginning to settle. I have been in touch with various authorities and the consensus seems to be that Welei is not a ‘lost village’ (having been ‘found’ by Nina Freebody in 1986 and then carelessly ‘misplaced’ again) but it was the deserted site at Wayley Green! Thanks for the copy of your article - it is very useful to have the written references and all the argument about the place. I was right in thinking we had a record on the database, and have attached it here (HER 9121). The field where the 12th century (and earlier) pottery was found was on the west side of the road, very close to your grid reference. As for its disappearance, there could have been so many reasons for this; and the Black Death is only one possibility. We are gradually realising that medieval settlement (which in Hertfordshire was not nucleated) was never static. Places grew, declined, and moved all over the landscape, all the time. And I have doubts about the 'plague pit' story. As far as I know Black Death victims would always have been buried in consecrated ground, in the parish churchyard, and 'plague pit' legends usually turn out to be something else - such as the finding of a skeleton which could have been prehistoric, or Roman, or middle Saxon (before churchyard burial became normal). But there was consolidation and retreat from agricultural margins after the Black Death, simply because the population overall had fallen so drastically. The estate of Welei may have been just absorbed within a larger estate, and so disappears from the records. As you have observed, the name survived locally as Wayley Green, which does imply a hamlet, with a few houses which were now and then rebuilt on the same or a different site. Source <2> is in fact a note added to this by Mark Stevenson to the effect that the NGR should be 173262. Medieval roof tile will be much later than 12th century, so this implies that there was at least a house here at a later date. I don't know if anyone has had a look since. This was encouraging news. It seems that once again I am plodding along in Nina Freebody’s footsteps - and this perhaps confirms that much of what I have researched is accurate. What I will comment on is the cause of the desertion of Welei. All historians make the point that there were several possible reasons for people leaving a hamlet and they are not limited to a particular time period. That being established, and thinking of the local legend that victims of plague were buried in Wayley Close, I feel sure that the plague did visit Wayley Green in 1348/9 - it certainly wreaked havoc seven miles away at Codicote. I just do not see the locals, who were overtaken by grief and debilitating illness, having the desire or strength to cart the corpses of their families and neighbours to Ippollitts or Hitchin for interment. Easier by far to bury them nearby. To support the notion of the decimation of Welei by plague in the middle of the fourteenth century, I turn again in more detail to when the place-name appears in documents( Link: Glover). Glover lists six references to Welei, Weleye and Welegh between 1086 and 1342 including an assize or tax in 1302 when Weyleye was juxta Dynesley - or, beside Dinsley. Then abruptly, after 1342, there is no further reference to Welei. Was this because the manor/vill no longer existed having been wiped out by the plague? I am inclined to this view. It is assessed at 2 hides (240 acres). There is land for 7 ploughs. In demense is 1 hide and there are 2 ploughs and 8 villeins with five bordars have 4 ploughs and there can be a fifth. There are 2 cottars and 4 slaves. Pasture for the livestock of the vill(age) and woodland for 300 pigs. Earl Harold held this manor and it belongs to Hitchin as it did in the time of King Edward. In 2002, Prof. Tom Williamson referred to ‘the vill(age) of Welei or Wilei which comprised a large part of the later parish of Preston’. He included a map which showed Welei as immediately south-west of Wain Wood and separate from and to the north of Preston. 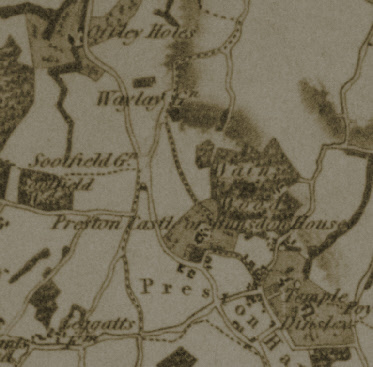 He then adds, ‘in the south of the parish of Ippollitts just to the north of the modern village of Preston lies Wain Wood and the probable site of the lost Domesday vill(age) of Willei’ (11). 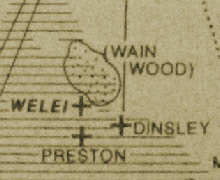 An accompanying map (shown right) placed Welei between Preston and Wain Wood but no reason was offered for its assigned location. Conclusion: Historians are divided over the location of Welei and, as the twentieth century has passed, the identity of the manor which included Preston at Domesday has become further clouded rather than clarified. A map dated 1822 (12) (right) shows Waylay Green (sic) as 1.3 kilometres north of Preston and 300 metres from present-day Wain Wood. There is a clear similarity between the place-names, Welei and Wayley. There are also references to Wayley Close and Wayley Wick in the manorial rolls of Temple Dinsley: ‘All those two closes or parcels of land called or by the name of Waley Wick and Waley Close containing by estimation four acres...afterwards enclosed with a certain freehold close of land...called Woodclose’(13). This land was owned by William Mellish in 1818. 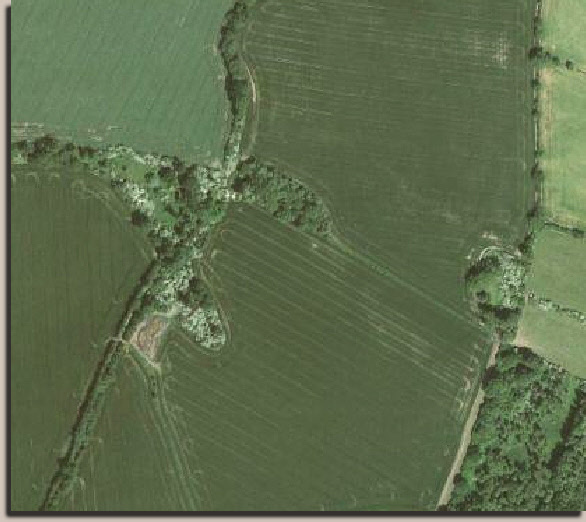 Wayley Wick and Wayley Close are not mentioned in the Ippollitts enclosure document. However, Woodclose (12 acres - close number 442 on the map above) was already owned by William Mellish at the time of the enclosure. The manorial document cited above indicated that Woodclose included Wayley Wick and Wayley Close. 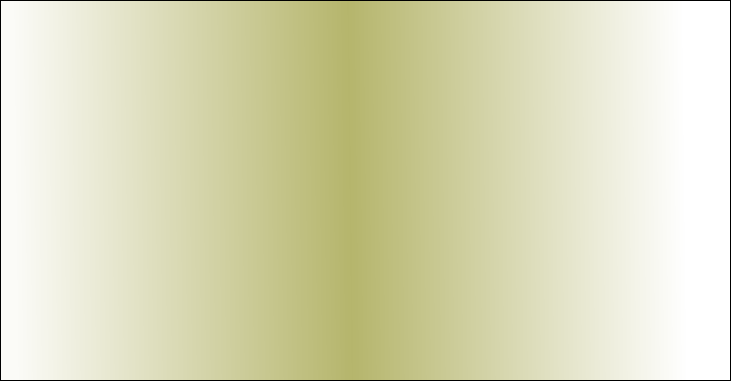 Mellish was also allotted Wayley Green. The enclosure document read, ‘To William Mellish Esq. 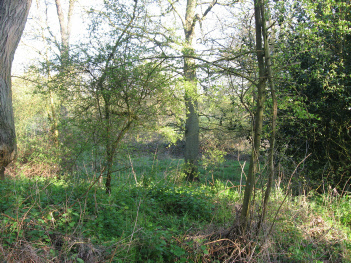 a piece of land on Waylay Green with an ancient lane containing one acre, one rood and six perches bounded on the north west by Wayley Green road’. (Number 444 on the map). Note that it includes land to the west of the track. Where was the manor of Welei? Finally, when thinking of these place-names, the meaning of Welei may be of interest, particularly to those captivated by ghost stories of Minsden Chapel. Both it and Wain Wood are ‘probably’ derived from the Old English words ‘weoh’ (which is a sacred place, temple etc) and ‘leah’. They therefore ‘probably’ mean ‘grove where (heathen) worship was carried on. Evidently, the height of Wain Wood above sea level is typical of such a site. One historian even went so far as to suggest that pagans held their rites in Bunyan’s Dell. But, hold onto your pitchforks, modern research inclines to the belief that ‘way’ means ‘track’ (a reference to Wayley Green Road?) and ‘wain’ means wagon: the hay-wain, for example. Historically, is anything certain? 4) Perhaps this place became deserted as the result of plague. 1) identify the Domesday manor/village of Welei. 2) explain why it became deserted. I am not a qualified researcher or historian – but, as will be shown, eminent antiquarians hold differing views about the subject under discussion. I have the advantage of local knowledge, having examined maps and documents, such as manorial rolls, over the last five years. My research path began when I decided to write a history from Domesday of Preston, near Hitchin for my website. Immediately, I found myself in a realm of uncertainty - although Preston probably existed in 1086 (its name derives from the Old English place-name, Prestune), it is not mentioned in Domesday. So, within which of the fifteen manors in the Royal Manor of Hitchin was it included? Thus, the last historical references to Welei that Grover discovered dated from the first half of the fourteenth century, the latest being 1342. I have found only one textbook reference to Wayley Green and its significance. This was during a visit to Hertfordshire Archives and Record Office on 23 April 2010 (and after I had written a synopsis of this thesis). Ian Friel wrote, ‘...Wayley Green (Welei 1086)...is not to be found on modern maps but is shown on Bryant’s map of Hertfordshire. OT reference: TL 175261’(16). 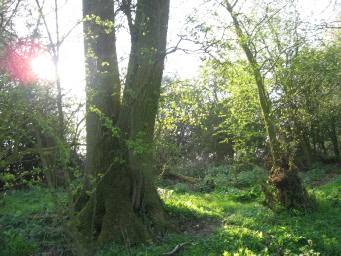 It was gratifying to find that someone else had made the same connection between Welei and Wayley Green – although Friel’s objective was to discuss the existence of pagan religious sites around Hitchin. He made no reference to the possibility of a small community here. However, I was emboldened by his corroboration to float this theory. · Associate the area with the plague as a reason for its becoming deserted. I am unaware of a work which features any but the first of these observations. 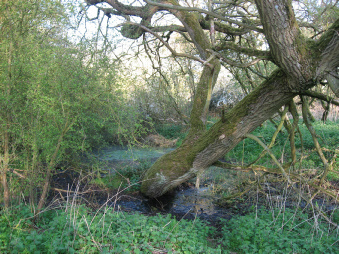 Perhaps Welei/Wayley is a lost manor/ vill in Hertfordshire.